We should be all encouraged to share our stories — and perhaps transform some of them into stories told through unconventional theatre. My guest today is Rowan Miller, the Administrative Manager of Notable Acts. For the past 18 years, Notable Acts has challenged playwrights from across the province to create new theatre productions. With a focus on supporting artistic growth in theatre — particularly in new playwrights — Notable Acts has inspired numerous folks to create innovate, local and amazing theatre, and helped them transform their abilities. 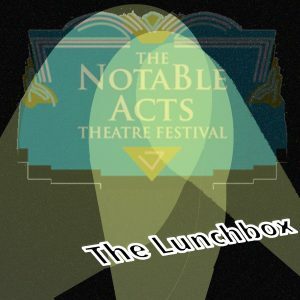 Notable Acts is currently looking for playwrights in its contest phase, which ends on Shakespeare’s birthday of April 23rd. Following that, the winning plays will be workshopped and developed to appear in their festival in late July.